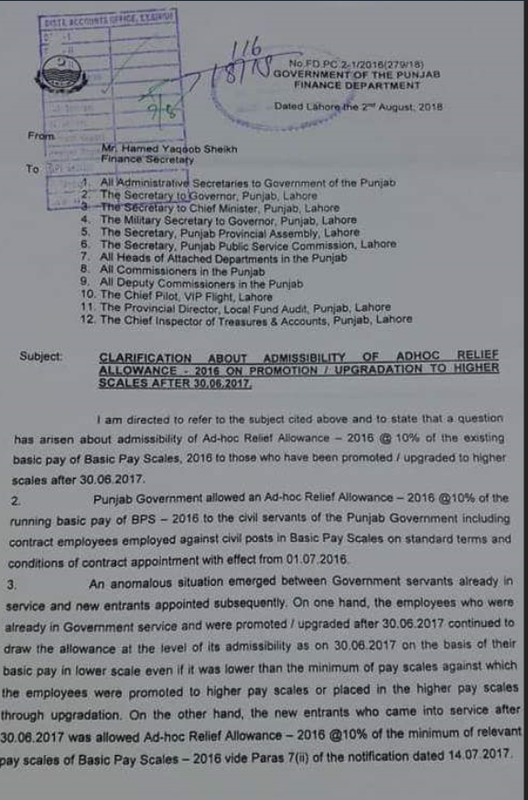 Finance Department Punjab Government has issued a Notification about clarification of Adhoc Relief Allowance 2018 on promotion to higher scale on 02-08-2018. Subject: Clarification of Adhoc-Relief-Allowance-2018 on promotion or upgradation to higher scale after 30 June 2017. 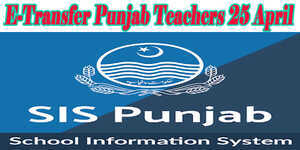 An anomalous situation emerged between government servants already in service and new entrants appointed subsequently. 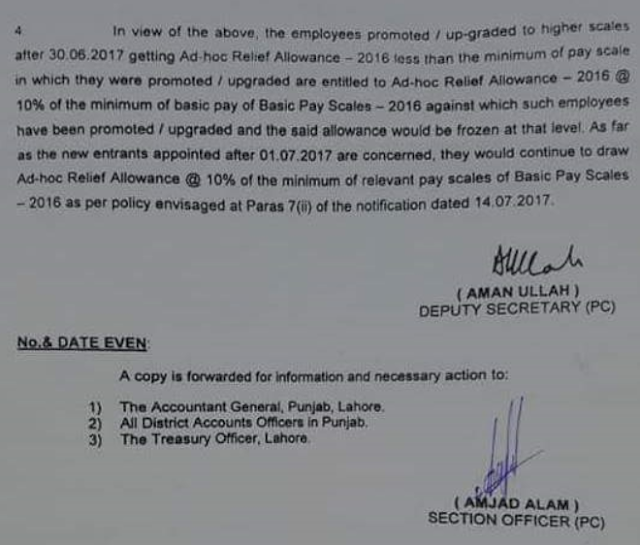 On one hand the workers who were in taxpayer supported organization and were advanced or redesigned after 30 June 2017 kept on drawing the ARA recompense at the level of its suitability as on 30-06-2017on the basis of their basic pay of lower scale even if it was lower than the minimum of pay scales against which the employees were promoted to higher pay scales or placed in the higher pay scales after upgradation. On the other hand, the new entrants who came into the service after 30-06-2017 was allowed Adhoc Relief Allowance 2016@ 10% of the minimum of relevant pay scales of basic pay scales 2016 vide para-7(ii) of the notification dated 14-07-2017.